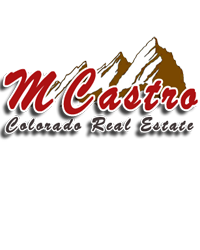 Although my roots come from Latin America, I have enjoyed the beauty and healthy lifestyle of Colorado since 1981. Previous work as a graphic artist, editorial photographer as well as a love for the outdoors has given me the opportunity to become familiar with the expanding diversity of the Denver-Metro community and surrounding areas along the Front Range. Anticipating the changing needs of my two growing daughters, I returned to Colorado where I continued maintaining the high standards of integrity to help people buy and sell homes or to find the perfect spot for a new business. By combining my experience, marketing skills , and the latest tools in technology, I can guarantee excellence in service and commitment throughout any transaction, regardless of its price or complexity. You are welcome to contact me with any questions regarding the sale of a home or your new purchase, I am always willing to help and guide you in the right direction. Aunque mis raíces se originan en Latino America, he disfrutado de la belleza y el saludable estilo de vida de Colorado desde 1981. Mi previo trabajo como fotógrafo profesional de prensa y en las artes gráficas, me ha dado la oportunidad de familiarizarme con la extensiva diversidad de la comunidad de Denver Metro y sus vecindarios. Anticipando el cambio y las necesidades de mis pequeñas hijas, regrese a Colorado en donde continuo manteniendo un alto estándar de integridad para ayudar a personas en la compra o venta de vivienda o para encontrar el local ideal para su negocio. Combinando mi experiencia, mi habilidad en mercadeo y el uso de las nuevas herramientas tecnológicas, puedo garantizar a mis clientes excelencia en mis servicios y absoluta dedicación durante cualquier transacción no importando su precio o complejidad. Siéntase bienvenido a contactarme con cualquier pregunta sobre la venta o compra de su casa, estaré siempre dispuesto a ayudarle y guiarle en la dirección correcta.